Analyst house Gartner, Inc. recently released the 2018 version of its Magic Quadrant for Data Management Solutions for Analytics. 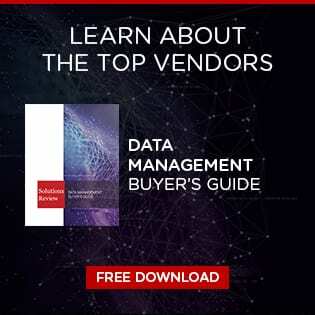 Gartner notes that this marketplace is undergoing some change as certain factors, specifically pertaining to the cloud, Hadoop, logical data warehouse adoption, and Chinese vendors clarify themselves. Data management solutions for analytics (DMSA) are defined as a “complete software system that supports and manages data in one or more file management systems (usually databases). Gartner doesn’t overlook the fact that traditional data warehousing use cases remain the basis for analytics in a majority of organizations. However, organizations are increasingly interested in managing data from diverse and disparate locations. In this way, Gartner has identified four key use cases for these solutions, including traditional data warehouse, real-time data warehouse, context-independent data warehouse, and logical data warehouse. In this Magic Quadrant, Gartner evaluates the strengths and weaknesses of 22 providers that it considers most significant in the marketplace, and provides readers with a graph (the Magic Quadrant) plotting the vendors based on their ability to execute and their completeness of vision. The graph is divided into four quadrants: niche players, challengers, visionaries, and leaders. At Solutions Review, we read the report, available here, and pulled out the key takeaways. New vendors added to the report include Actian, Alibaba Cloud, GBase, Micro Focus, Neo4j, Qubole, and Treasure Data. Solution providers that no longer meet the criteria for inclusion are 1010data, EnterpriseDB, Hewlett Packard Enterprise (HPE), MongoDB, and Transwarp Technology. Oracle still leads the DMSA pack, but only by a slim margin. Amazon Web Services is the leader column’s biggest mover, with notable improvements in both its ability to execute as well as its completeness of vision. It’s no fault of Oracle’s, as the technology mega-vendor stood firm in its positioning, but AWS may very well be the top dog in next year’s release. IBM took a bit of a tumble, and was downgraded on both axes. Though the vendor features an expansive portfolio of analytic products, Gartner believes its branding strategy to be confusing, and investment in stagnant markets is a bit questionable. Teradata was near the pinnacle of Gartner’s 2017 Magic Quadrant, but lost some in its ability to execute. As a result, Microsoft was able to leapfrog them and now occupies a spot amongst the elite in this marketplace. Snowflake and MemSQL are the report’s only challengers. While MemSQL recently added machine learning models to its flagship data warehousing platform, its movement in the grid was static. Snowflake made perhaps the largest jump of any provider in this Magic Quadrant, improving upon its ability to execute to propel it from the niche players bracket last year. Snowflake has been raising money like mad of late, and its placement in this report comes on the heels of its recent $263-million dollar funding round. Gartner’s market visionaries column also only had room for two this year, with Google and MarkLogic sitting in nearly identical locations on the graph. It’s not the best news for Google, as it enjoyed a cushy spot amongst the challengers last year. Coincidentally though, Google is closer to the leader’s column than it was in 2017. MarkLogic is well within striking distance of market leadership. In May, the company released a major update to its database integration product, adding new data integration, security, and management capabilities. The niche players column is as crowded as we’ve seen in a Magic Quadrant to date. This isn’t unexpected, however, given that this marketplace is still largely undefined. Cloudera, MapR Technologies, and Micro Focus make up a cluster near the middle of the visual. All three providers offer strong product capabilities and could make the leap to market challenger status within the year. Hortonworks and Pivotal are two providers we expected to see more movement on given their impressive market traction and product portfolios. Hortonworks has high customer satisfaction, while Pivotal offers a robust set of analytic features. Several new providers round out this quadrant, headlined by Alibaba Cloud, Treasure Data, Qubole, Neo4j, GBase, and Actian. Given the unpredictable nature of this column, it remains to be seen how these providers will fare in the year ahead. Learn how to organize your team for modern analytics deployment.